← iPad users – want a larger screen ? 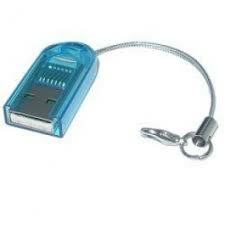 Most laptops and all netbooks have a built in card reader, allowing you to read SD cards, used in most digital cameras. The slot may be hard to spot, as it’s a small (usually on the left hand side or front). If never used before, it may have a “placeholder” card inside, push gently to release. You push your memory card in gently (copper side down, generally) ….. and to remove it you simply push it in gently and it ejects a little for you to remove. Need to read a smaller MICRO SD CARD (used in most phones) ? All you need is an adapter – available from many retailers including Maplins very cheaply. Posted on March 17, 2014, in Learning Zone and tagged adapter, card, laptop, memory, micro SD, mobile, netbook, phone, reader, sd card, slot. Bookmark the permalink. Leave a comment.